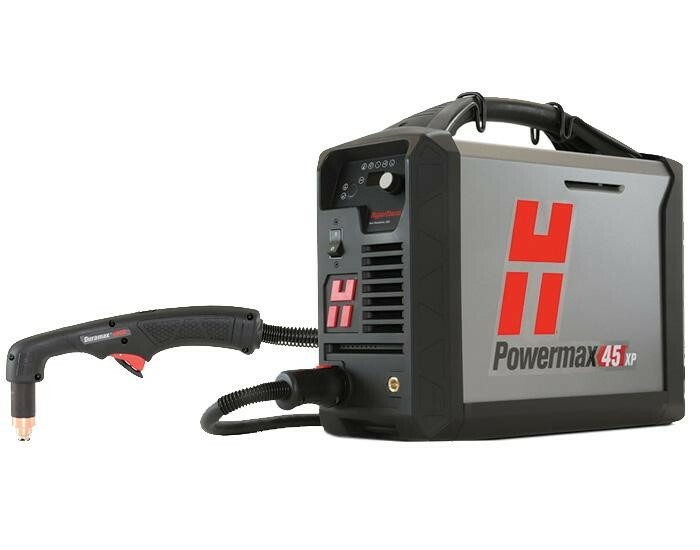 Meet the newest member of our best-selling line of Powermax® portable plasma systems. 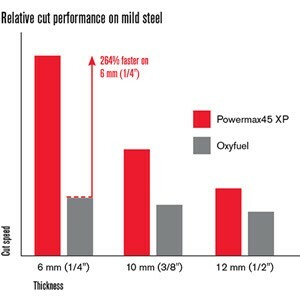 The Powermax45® XP delivers increased cut capacity – up to 16 mm (5/8”) metal – as well as faster cut speeds, and automatic gas adjustment for quick, simple setup and operation. New Duramax® Lock torches support handheld and mechanized cutting of a wider range of metal thicknesses, along with enhanced gouging and marking capabilities.